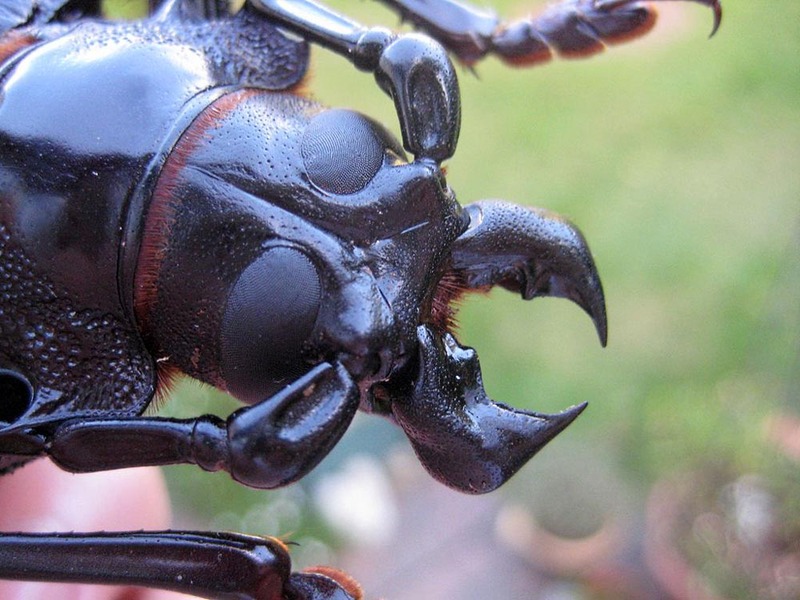 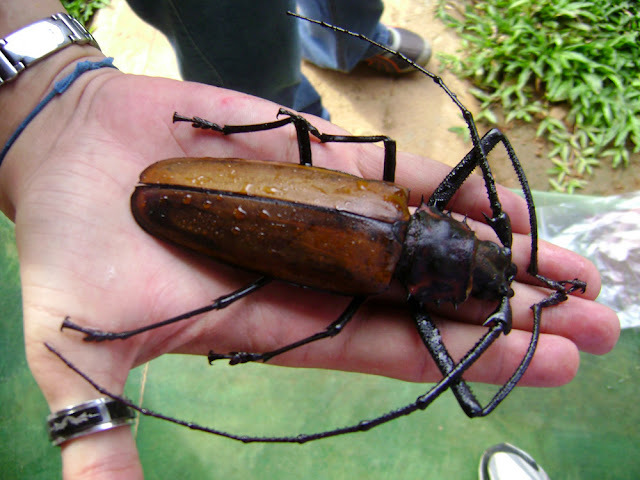 First place in the title of "the big insect in the world" is deservedly awarded Woodman-titanium (Latin Titanus giganteus), whose body length can reach 17, and according to some sources, and 21 inches! 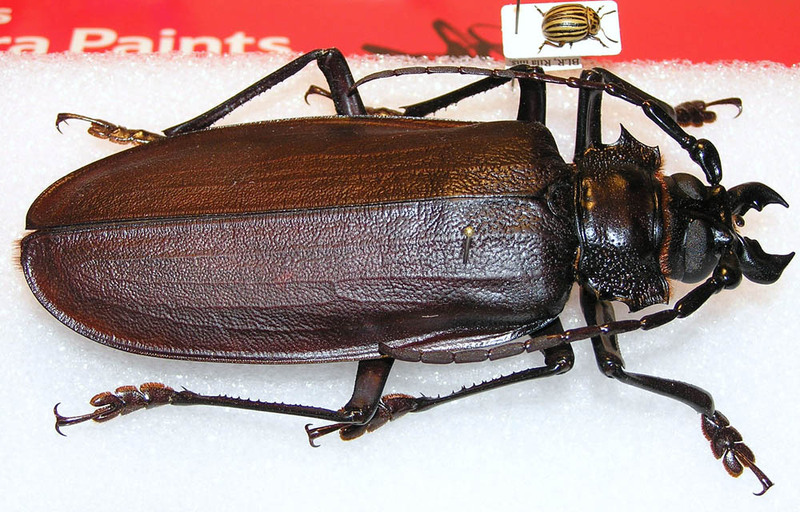 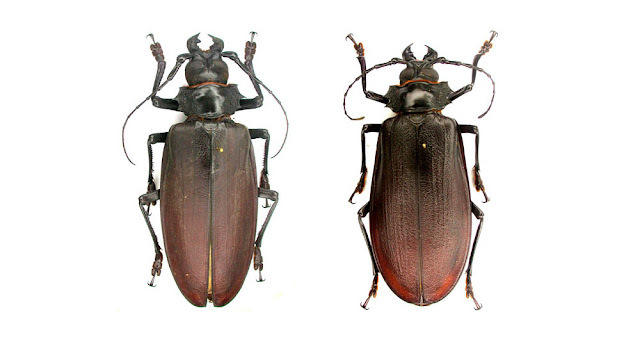 Lumberjack-titanium (Latin Titanus giganteus) - kind of beetles from the family of long-horned beetles (Cerambycidae). 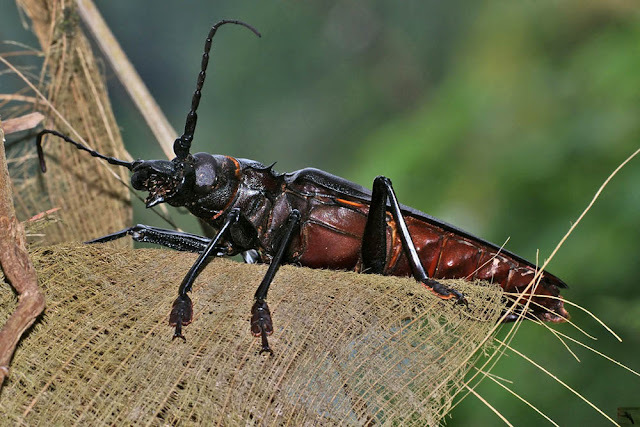 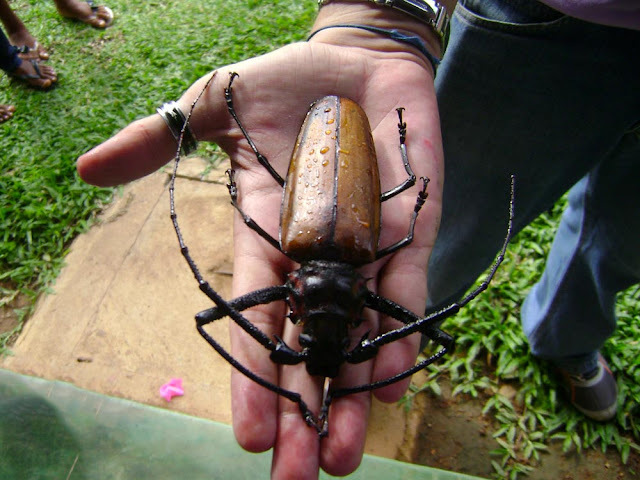 is one of the largest insects. 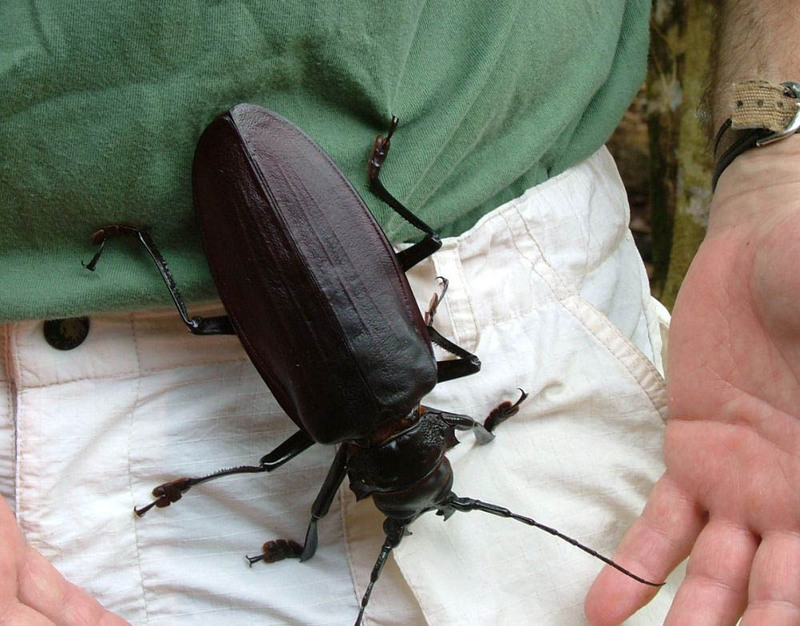 Most sources indicate the length of an adult ranges from 79 to 168 mm. 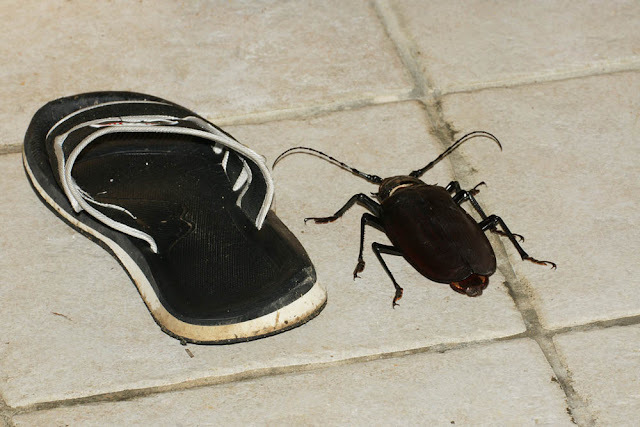 In other sources the maximum length is different - from 170 to 210 and even up to 220 mm. Accurate scientific data was not available yet. 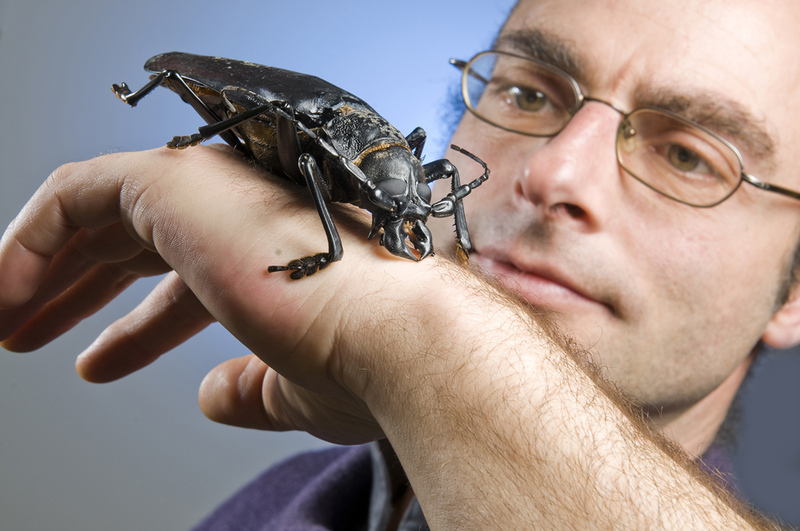 The average length of most specimens is 130 mm, is much rarer individuals up to 150 mm. 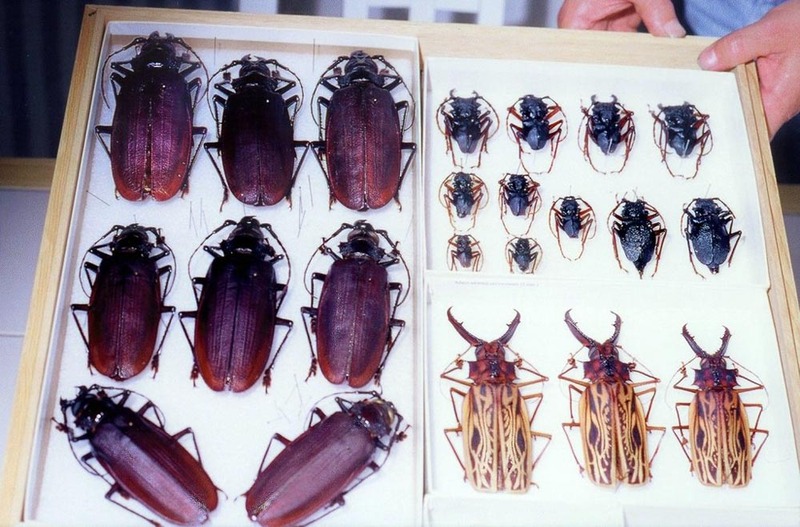 The cost of the dried specimens the maximum possible size for the entomological collections may reach U.S. $ 680-1000 or more. 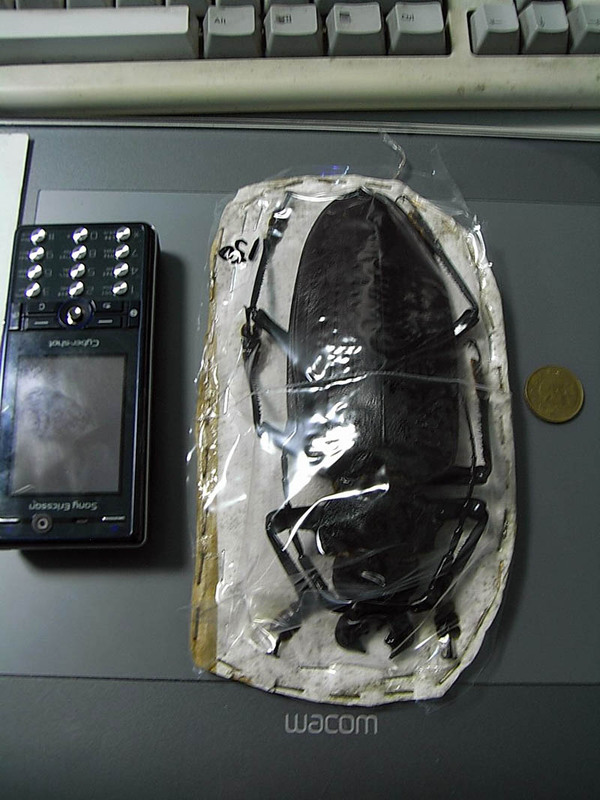 Dry weight of the beetle is 22-26 grams. 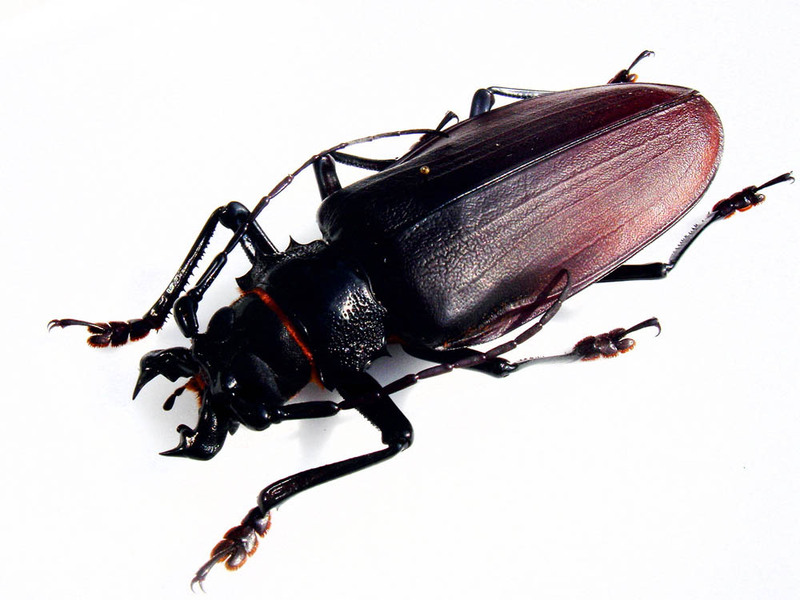 Life expectancy of adults - 3-5 weeks, during which the beetles do not feed and live off the fat reserves accumulated during the larval stage. 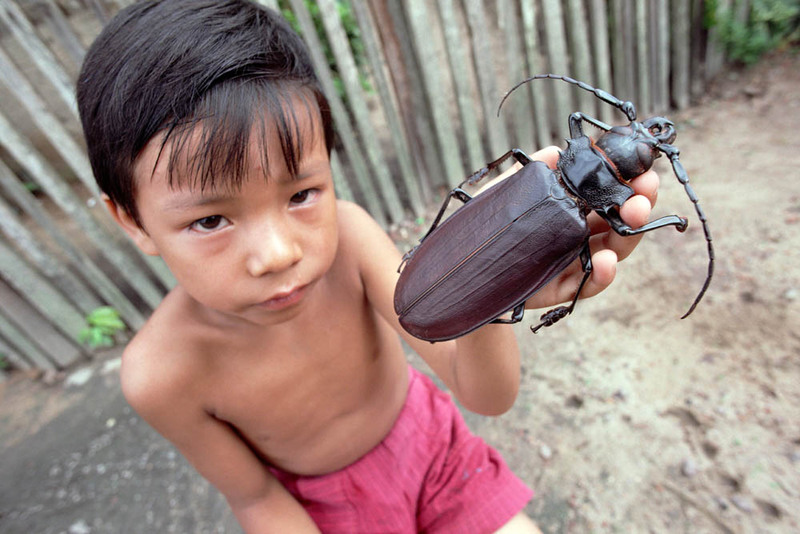 Lumberjack-titanium is distributed throughout the Amazon region - from Peru, Ecuador, Colombia, Suriname and Guyana, to Bolivia and central parts of Brazil.